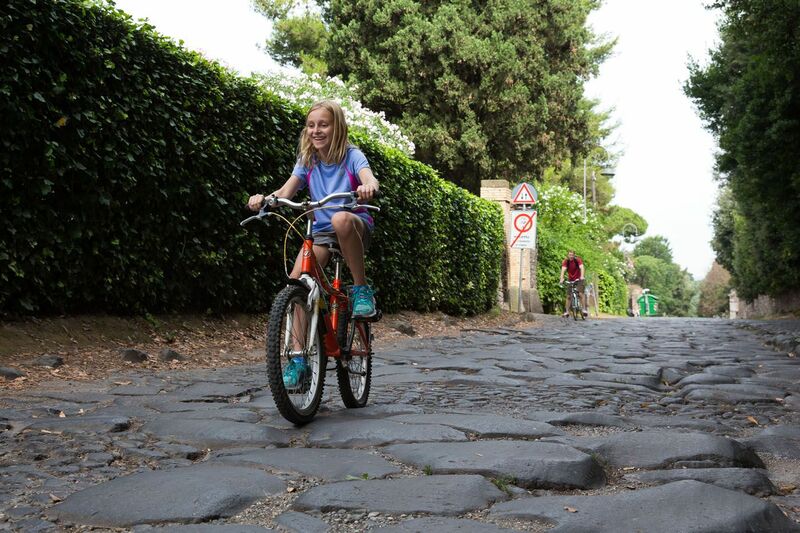 After spending two solid days touring Rome’s must see sights, we chose to go off the beaten path and bike the Appian Way. The Appian Way is one of Rome’s ancient roads, connecting Rome to the Adriatic Port of Brindisi. This road was a marvel of Roman engineering at the time it was constructed, 2000 years ago. Today it is a place for biking, viewing ancient Roman ruins, and taking a break from the hustle and bustle and crowds of tourists in Rome. We took public transportation (a metro and bus combo) to the Appian Way, arriving near the Tomb of Cecilia Metella. How different it was here, just a short ways from the center of Rome! It was quiet, smelled like honeysuckle, and we felt like we had the place to ourselves. I don’t know where all of the other tourists were, but we weren’t complaining. It felt great to be on our own. The Appia Antica Café was just opening for the day. We rented bikes here, and they had smaller bikes available for Tyler and Kara. Before we knew it, our adventure began. This turned out to be a little more difficult than I was expecting. 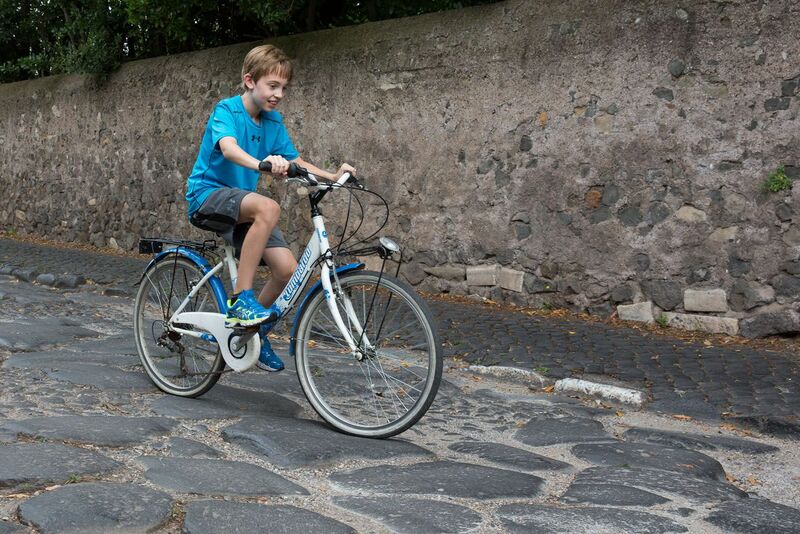 The original sections of the Appian Way are made of large stones, which are not the flattest surface to bike on. To say the ride was bumpy would be an understatement. Tyler quickly got a handle on it but Kara had a little trouble. After a couple of falls and close calls with the stone walls along the side of the road, she got better at navigating the difficult terrain. There were a lot of sections of cobblestoned road mixed in with the ancient sections of road. These were by no means smooth but did offer a break from bouncing over a road made from boulders. 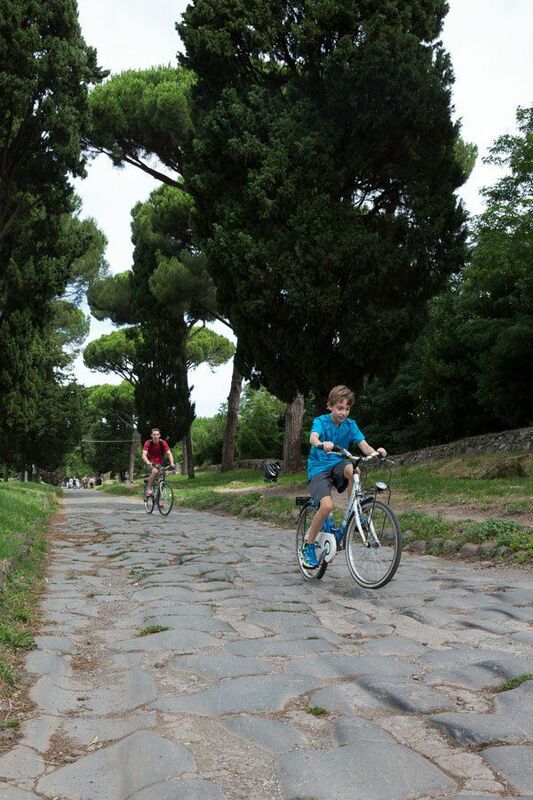 Tim and Tyler had an awesome time zooming down the Appian Way. Tim, who was trying to bike as fast as possible while shooting video with our point and shoot camera, lost control of his bike, wiping out. He emerged unscathed from his accident and got very interesting video footage in the process. I am thankful for my family who always keeps things interesting while we travel. If we can manage to get through this year without any major injuries it will be a miracle. The stretch of road available to bike upon is not very long, only about 4 miles total. We spent an hour biking this length of the Appian Way, with occasional stops for photos. Tyler and Kara really enjoyed their time here. It was a great break from the noise, heat, and crowds of Rome. 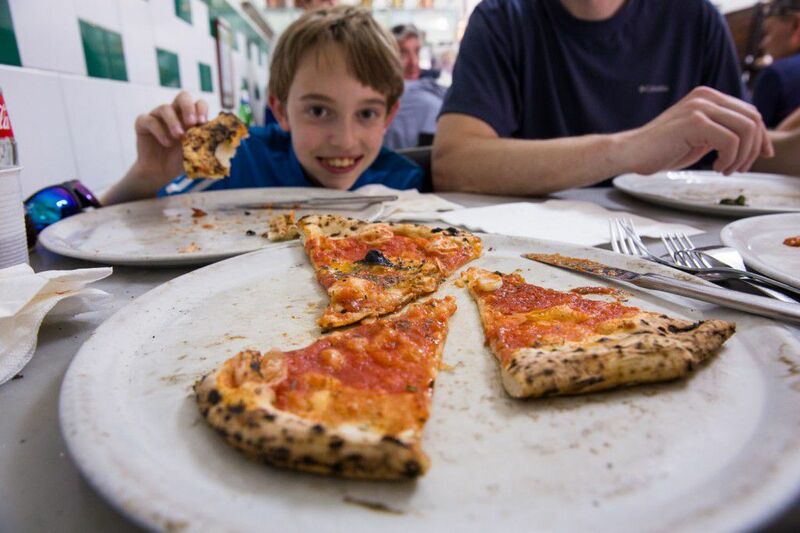 For anyone with a little extra time while visiting Rome this should definitely make the list. We returned safe and sound to the Appia Antica Café, returned our bikes, and enjoyed an early lunch. Before taking a bus back to Rome we toured the San Sebastian Catacombs, which are supposed to be Rome’s best catacombs. Tim and I were expecting to go wandering through underground tunnels lined with ancient bones like the catacombs in Paris, but instead we got a 35 minute tour through underground tunnels (sans bones) and a history lesson. The history of this place is fascinating, dating back 2000 years and dealing with early Christianity, but we were hoping for something a little more morbid and creepy. We like that kind of stuff. After our tour of the catacombs we took a relatively quick bus ride back to Rome’s city center. We have one more afternoon left in Rome until we move on to Sorrento! The Appian Way is open all day everyday. 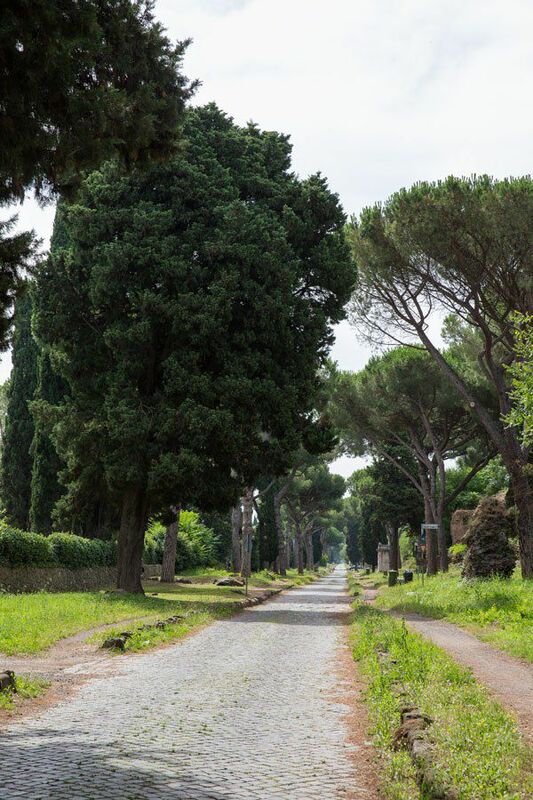 The best day to visit the Appian Way is on Sundays, when the road is closed to vehicular traffic. Monday through Saturday, the Appian Way is open to cars. We visited the Appian Way on a Thursday in July. Vehicle traffic was light and there were very few people and bikers on the road. In addition to the San Sebastian Catacombs, you can also visit the San Callisto Catacombs, which are just a few hundred meters further down the Appian Way. 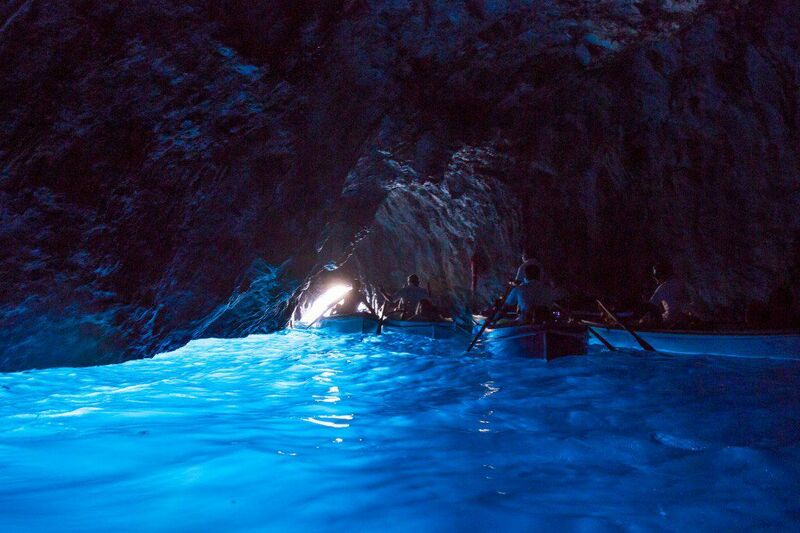 The San Callisto Catacombs tend to be more crowded and some people say they are better than San Sebastian. We only went to the San Sebastian Catacombs so we cannot comment on whether or not San Callisto is worthwhile. It is important to know that both Catacombs close at lunchtime. Also, the San Sebastian Catacombs are closed on Sundays and the San Callisto Catacombs are closed on Wednesdays. 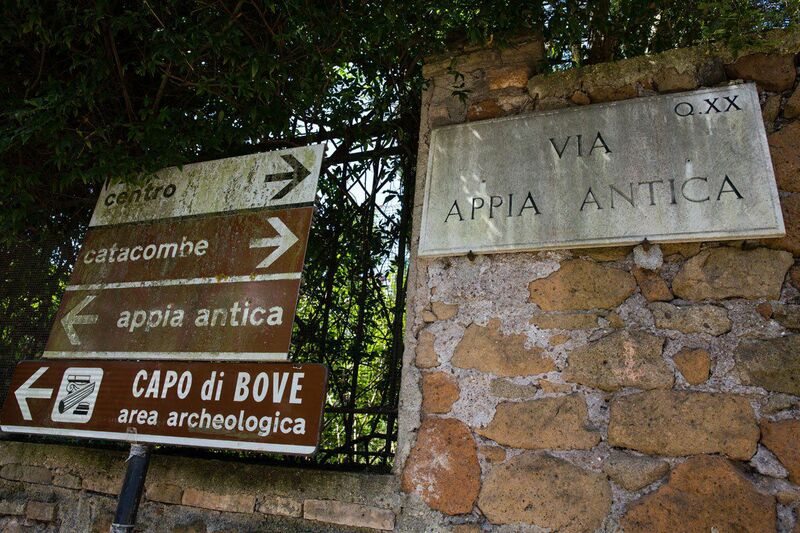 To get to the Appian Way: take metro line A to the Colli Albani station, and from here take bus 660 for a 20 minute ride to the Cecilia Metella bus stop. The Appia Antica Café will be on your right. 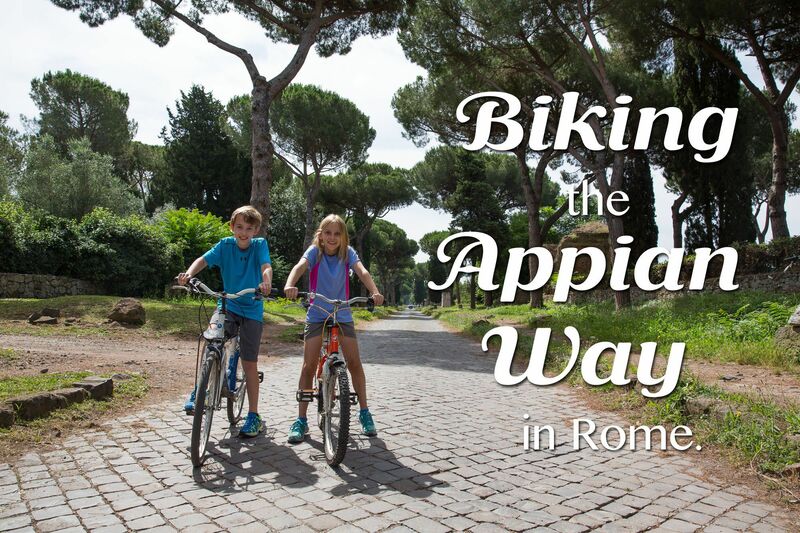 This is the best way to get to the Appian Way if you are planning on renting bikes, because bus 660 gets you the closest to the Appia Antica Cafe. 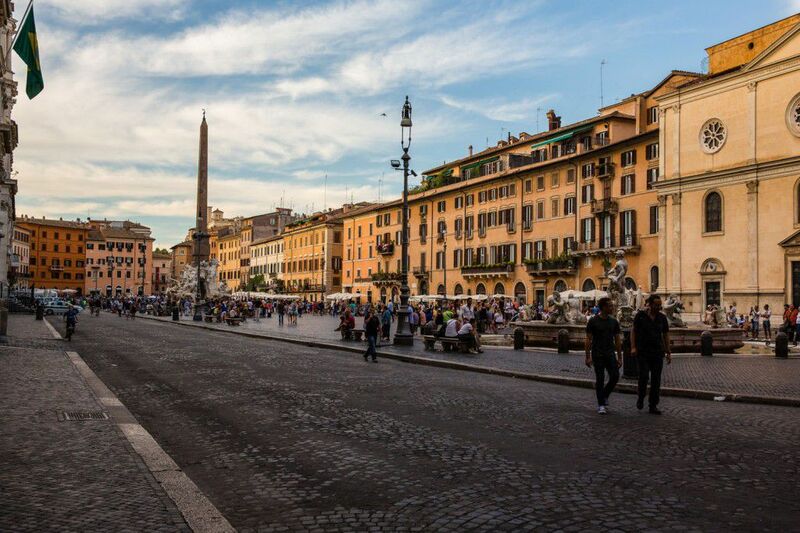 You can also take bus 118 from the Piramide or Circo Massimo metro stops. 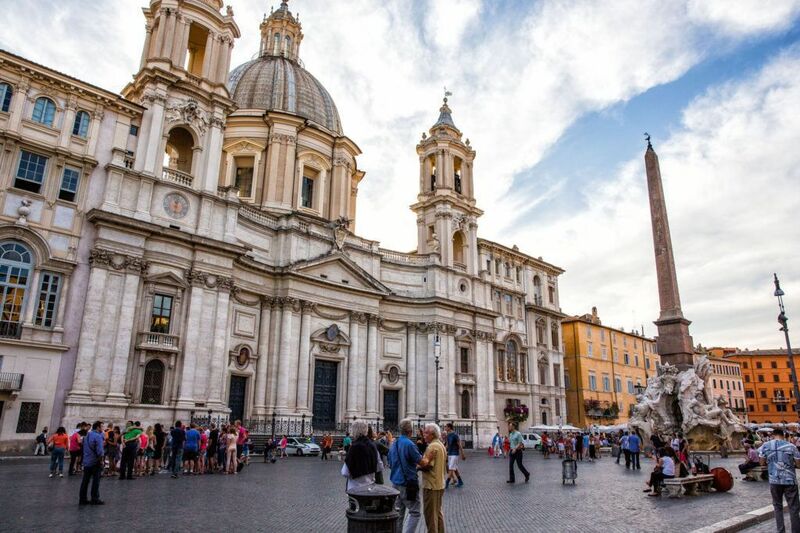 Take the bus away from the city center and get off at one of several stops on the Appian Way: Sebastiano Gate, Domine Quo Vadis Church, Catacombs of San Callisto, and the Catacombs of San Sebastian. To get back to Rome: you can do the above in reverse. 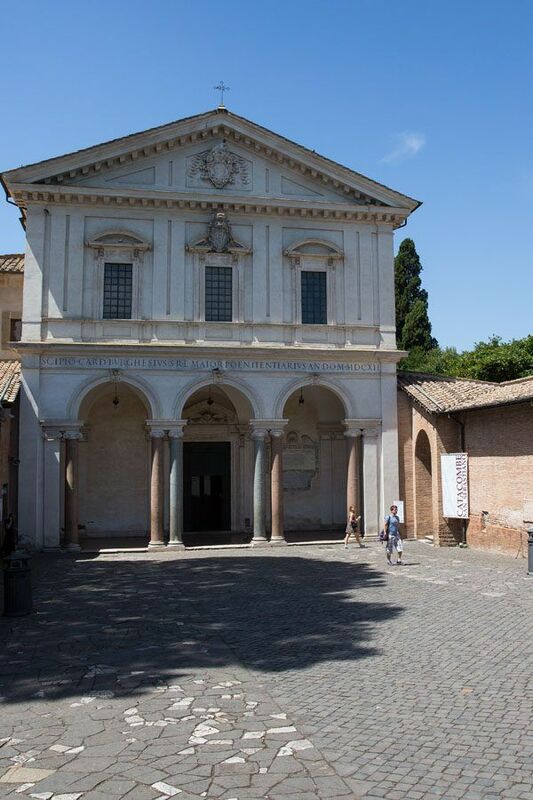 Or, from the San Sebastian Catacombs, turn left on the Appian Way, make the first left onto Via delle Sette Chiese, walk 400 meters, and catch bus 218 to the San Giovanni metro station (line A). This is a good chance to see the Basilica di San Giovanni in Laterano, one of Rome’s most important churches. 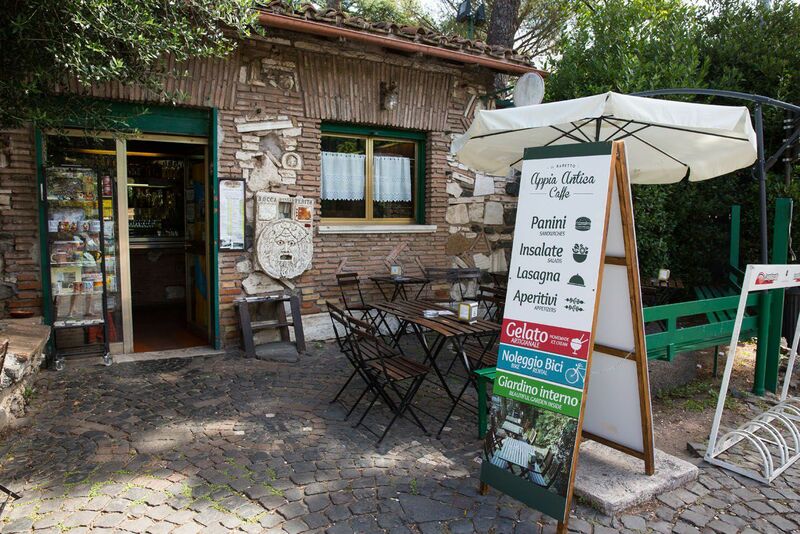 The Appia Antica Café rents bikes and sells an assortment of sandwiches and fruit for lunch. They are open from 9 to sunset and their prices for bike rental are 4 € for one hour, 7 € for 2 hours, 10 € for 3 hours, and 12 € for 4 hours (prices from 2014). To bike the length of the Appian Way it took us exactly one hour, including time to stop for photos. 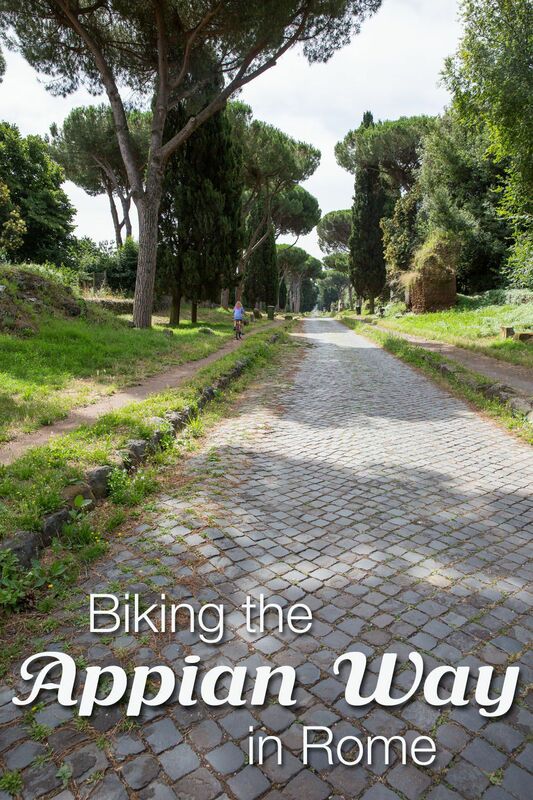 From the Appia Antica Cafe, you can bike in either direction. We found that the roads were less bumpy going south, away from Rome. 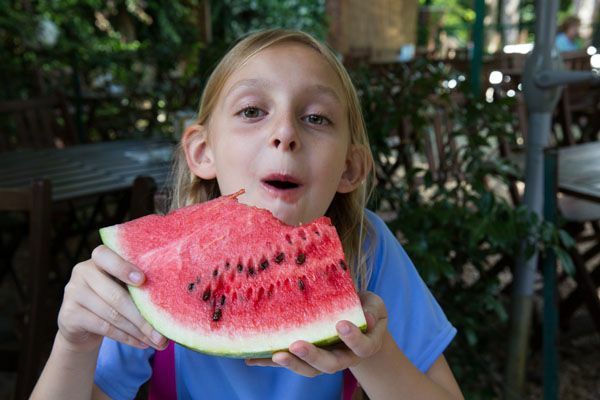 For more information about the Appia Antica Cafe, click here. My friend and I cycled the Appia Way on Sunday last- really easy to find the bus at the end of Metro A and such a lovely end to our few days in Rome. The bike hire is still only 4 euros per hour and no need to book! Appia Antica Café – Did you have to make reservations? Looks like you guys are having an awesome time! Happy to see you all still doing the things you love! This post reminds me of your adventurous style I love it : ) keep on having fun!! Seeing the pictures brings back memories. John and I visited Via Appia many years ago (the time before kids). While there we toured Villa Quintili. Did up see this place as well? BTW – We all are reading your blogs and looking at the pictures with great interest. Keep them coming. Hello! Nice hearing from you. No, we did not see Villa Quintili. BTW, Kara misses Alexander and talks about him all of the time! Cool keeping track of you all ….Baltimore. MD …woo! Hoo! Enjoy!!! !